Tea varietal information is not listed on TÊTÊ tea packets. When I received teas from the company, I followed up with Raunak for this information. 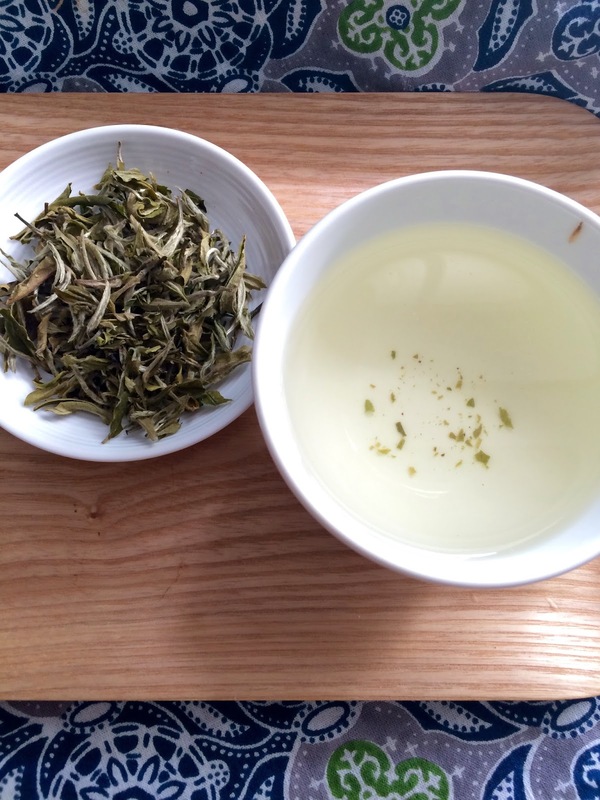 The white tea is Bai Mu Dan (aka Bai Mudan or White Peony). The green tea is a pan roasted Darjeeling clonal and the black tea is a "highly oxidized oolong" also using a Darjeeling clonal. I've been drinking the Bai Mu Dan and here's my review. I allowed my water to cool below the recommended 200F. I used a tasting cup set as well as a teapot. 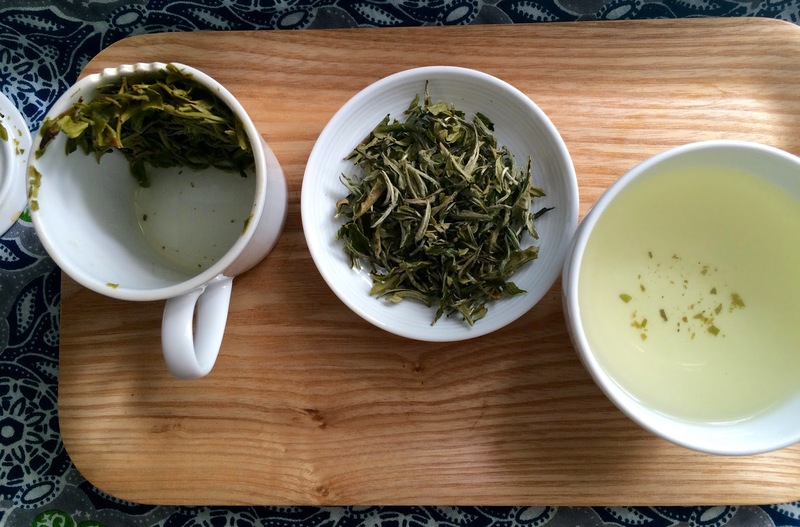 With the tasting cup, I steeped about 1 tablespoon of leaves four times (1 thirty-second and three 1-minute infusions). I also prepared the tea using a short, wide teapot steeping the tea leaves for approximately 5 minutes. My notes below are based on the tasting cup preparation. Learn more about the TÊTÊ story here. Thank you Raunak for answering all my questions.